In Bullies, Ben Shapiro uncovers the simple strategy used by liberals and their friends in the media: bully the living hell out of conservatives. Play the race card, the class card, the sexism card. Use any and every means at your disposal to demonize your opposition—to shut them up. Then pretend that such bullying is justified, because, after all, conservatives are the true bullies, and need to be taught a lesson for their intolerance. Hidden beneath the left’s supposed hatred of bullying lies a passionate love of its vulgar tactics. Dubbed by Glenn Beck “a warrior for conservatism, against those who use fear and intimidation to stifle honest debate­­,” Shapiro takes on the leftist bullies—the most despicable people in America. By exposing their hypocrisy, he offers conservatives a reality check in the face of what has become the gravest threat to American liberty: the left’s single-minded focus on ending political debate through bully tactics. For decades, the biggest problem for conservatives—and the biggest advantage for liberals—has been the fact that conservatives think individually, while liberals think institutionally. Think about politics in terms of religious outreach. Conservatives are like Jehovah’s Witnesses, going door to door, trying to convince people of the truth of their teachings. Liberals are like radical Muslims, toppling governments and installing shariah law, then forcibly converting enormous masses of the population. That’s why all the major instruments of political persuasion are in the hands of liberals. And it’s also why liberalism, though almost invariably based on pernicious and dangerous misinterpretation at best, and outright falsehood at worst, has been ascendant in America for the last hundred years. Look at every major bully move by the left over the past few decades and you’ll be able to spot the coordination between the left’s instruments. The politicians and regulators work with the unions; the unions work with the journalists; the journalists work with the Hollywood clique; the Hollywood clique works with the leftist charitable foundations; the leftist charitable foundations work with the university professors; the university professors work with the judges. And all of them work with each other. There is only one way to make an institution conservativerein. It has to be purged. Now, in America, we generally don’t look fondly on Soviet-style purges, complete with gulags and hastily dug graves. And so the American left has stayed away from that sort of thing. The left has taken advantage, however, of the American freedom to employ and work with whom you choose. The left doesn’t do anything illegal in preventing their ideological opponents from working. They just do something tremendously immoral—and unbelievably hypocritical, considering that they want private religious schools to have to employ transvestites who show up one day wearing a feather boa and a tutu. To understand just how the system of bullying works, we need to explore how the left took over the institutions that enable that bullying—and we have to take a look at how the current system works. "In Bullies, Ben Shapiro shows once and for all that the left is the single greatest source of bullying in modern American life. Their goal: to shut down the political debate in the name of political correctness. Don't let them shut you up -- read Bullies, and learn how to fight back!" 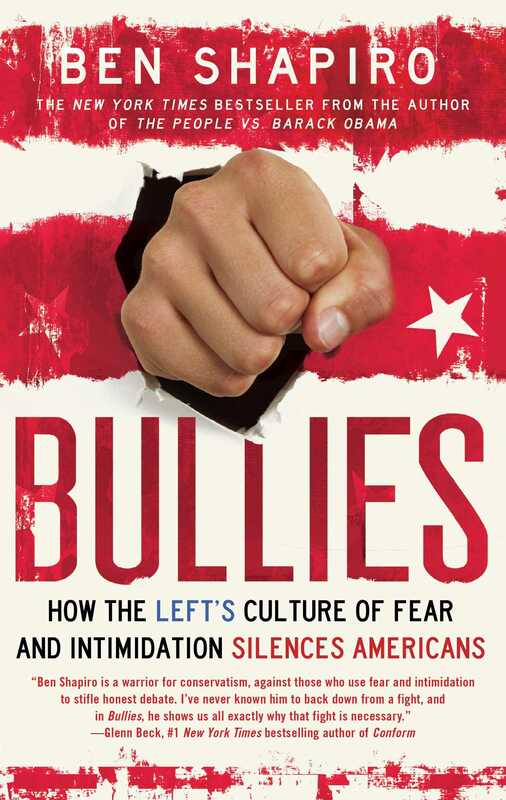 "Bullies is a rousing manifesto against liberal thuggery. Meticulously documented and deeply personal, this book will infuriate AND inspire you. 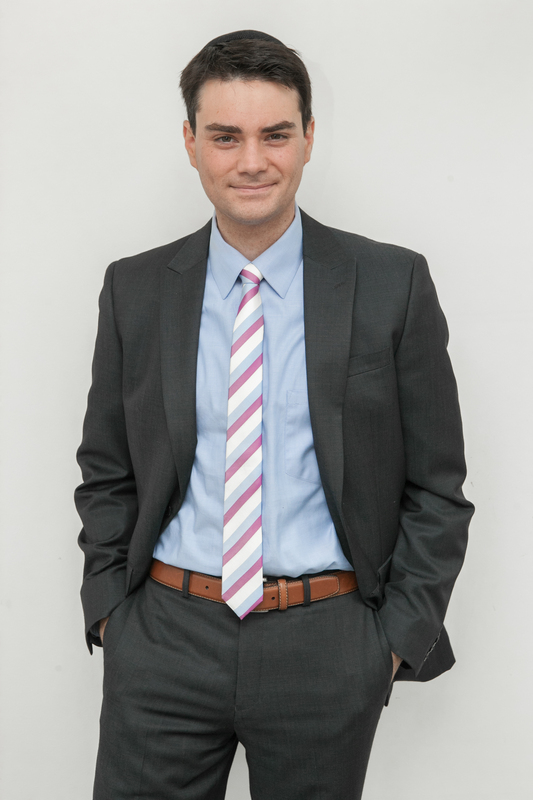 Shapiro exposes all the Left's menaces...infused with the indomitable spirit of his friend and mentor Andrew Breitbart, Shapiro issues a passionate call to arms." "Bullies will shock you with its point-by-point, fiery deconstruction of the left's strong-arm strategy for silencing conservatives. You don't know the left until you've read Bullies. And you won't be able to beat them unless you do." "Irresistibly readable... Ben Shapiro has nailed the left right where it lives."